With completion discount, Prime members receive up to 20% off and non-Prime members 10% off. 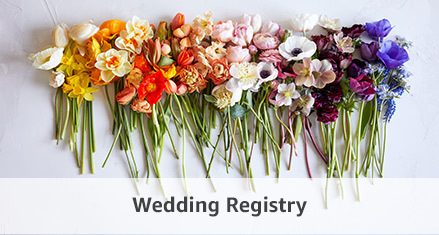 Whether choosing a gift for a baby or a wedding, there are millions of items to choose from. From flatwear to diapers, you'll discover something new every time you visit. Not quite what you were expecting? No problem. If that romper doesn't fit your little one, or those bath towels don't match your bathroom decor, you can return it. 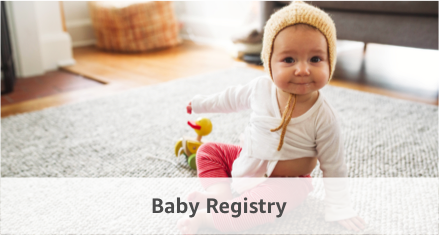 Wedding Registry customers have up to 180 days and Baby Registry customer have up to 90 days to make returns.